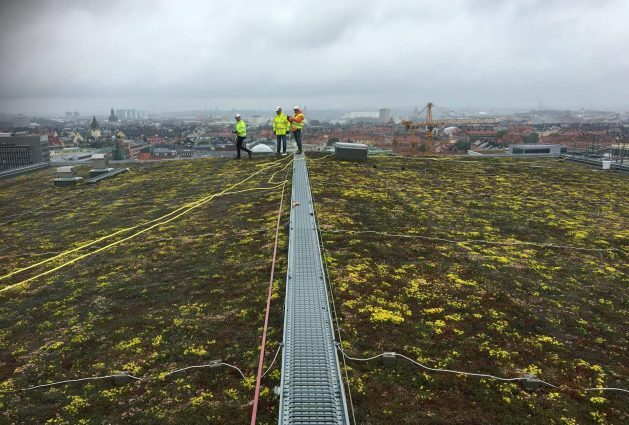 Urbanscape® Premium Air and partly Urbanscape ® Premium High. 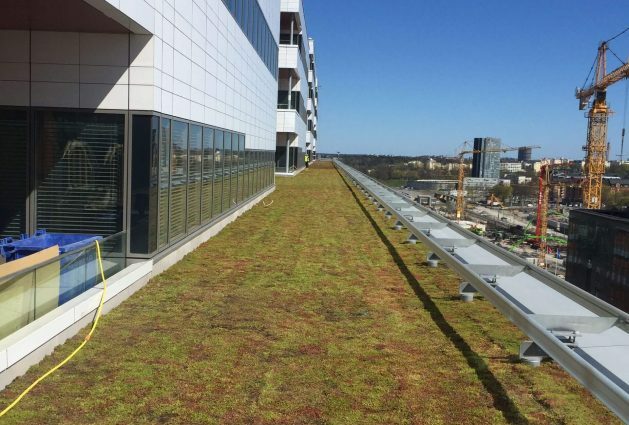 Karolinska University Hospital, situated just a few kilometers from the Swedish capital Stockholm, has 15,800 employees, 1,600 hospital beds and more than 4,400 patient visits per day. 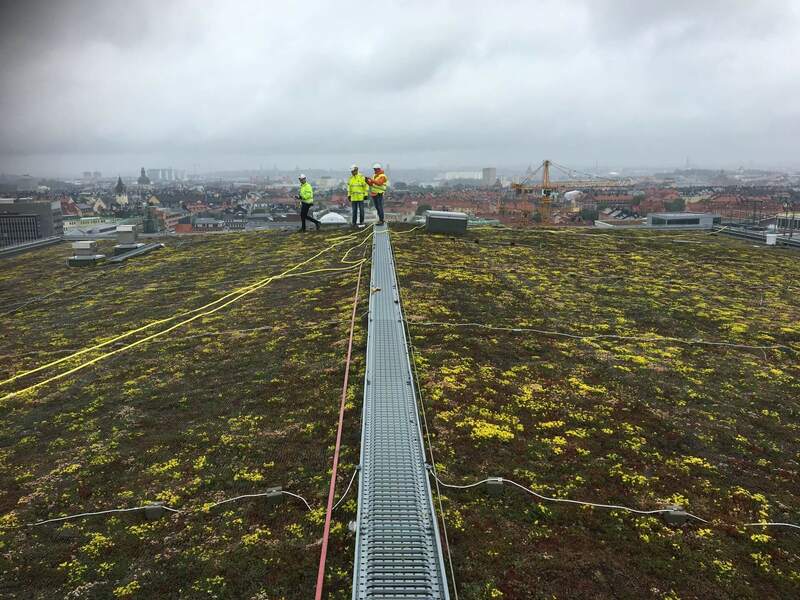 Standing next to the existing hospital, the “New Karolinska Hospital” needed more than 20,000 m 2 of new green roofs. 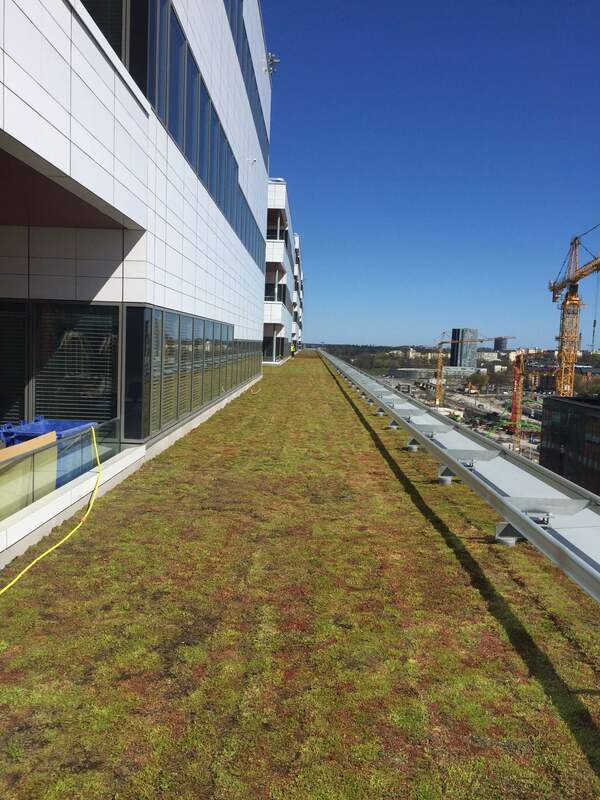 The Urbanscape Green Roof System Air concept is now installed atop one of the biggest hospitals – and with this new addition, many even consider it “the biggest hospital in the world.” The green roof project was a joint collaboration between the Knauf Insulation Green Solution central team from Slovenia, Swedish Urbanscape partner Sempergreen / Eurotema AB, and Swedish installer LW Sverige AB. 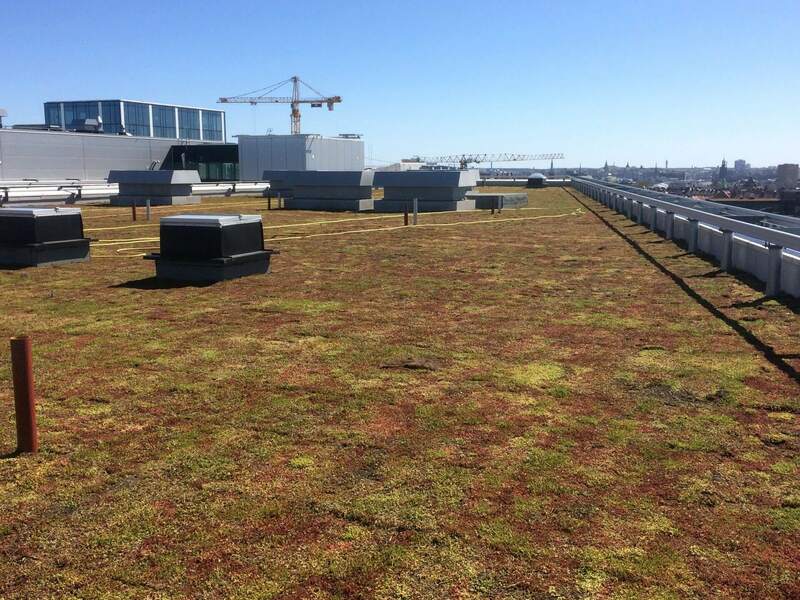 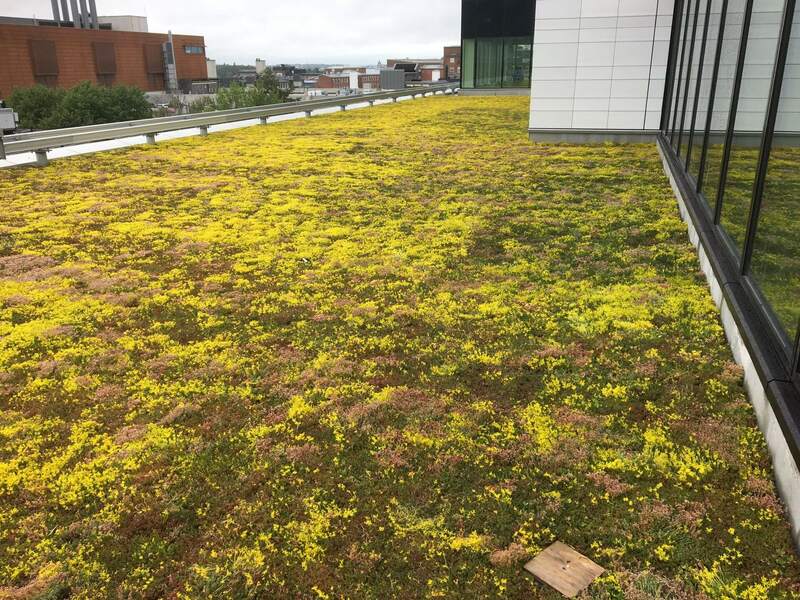 The Sempergreen/Eurotema “enhanced by Urbanscape” green roof system has been designed specifically to meet the requirements of the Scandinavian markets, providing a base for healthy vegetation and at the same time providing advanced performance in terms of storm-water control and energy efficiency. 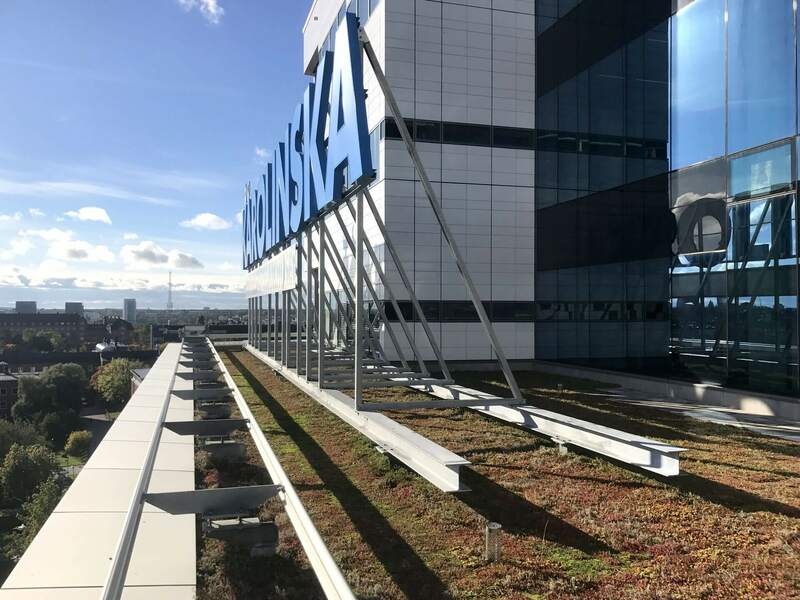 brown soil that would have to wait till spring for the seeds to start growing.